The holiday season has always been a big deal for my family and me. 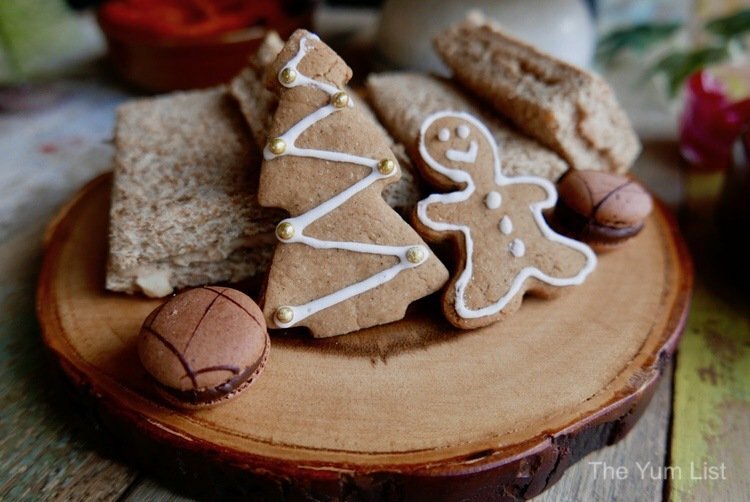 The smells of gingerbread and cinnamon, the sight of a beautifully decorated Christmas tree, and the sounds of our favourite Christmas tunes humming through the house bring peace to body and mind. As much as I love our Christmas traditions, I do always appreciate new twists on holiday classics be it carols or food. 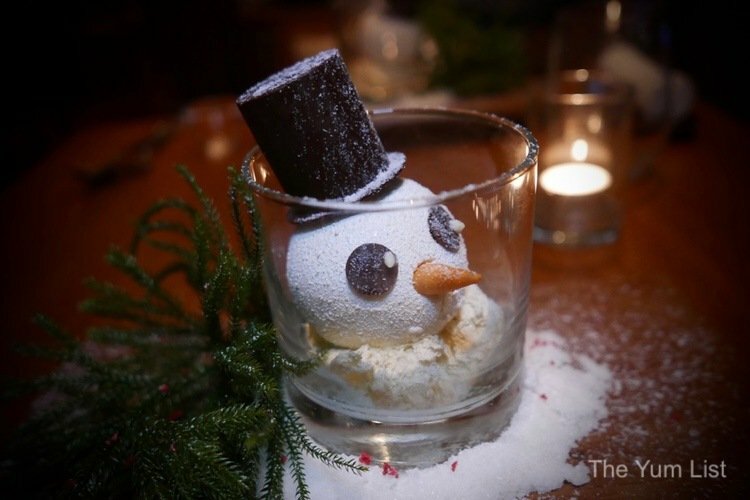 If you also appreciate the blend of tradition and new creativity, then Garage 51’s Christmas Tea should be a must on your holiday bucket list! Located in Bandar Sunway, Garage 51 is across from the street from Sunway University and just down the road from Monash University. 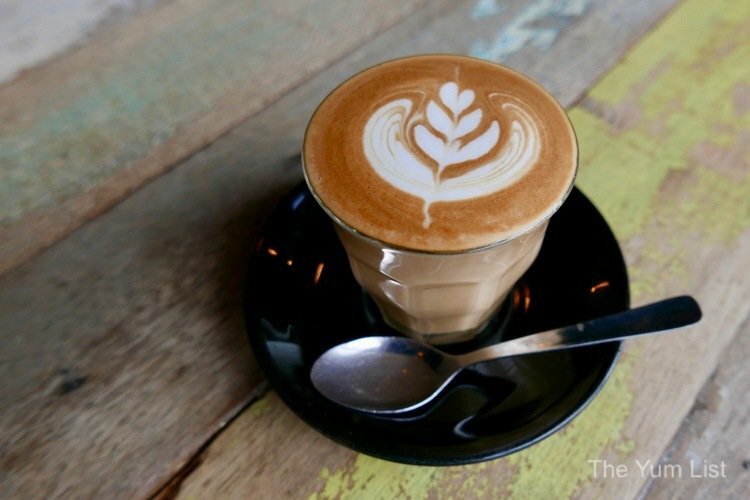 The café’s proximity to the universities makes total sense, as it has clearly embraced the youthful, hipster energy these young millennials have become famous for. Upon strolling into Garage 51, I am struck how spacious and open it feels. 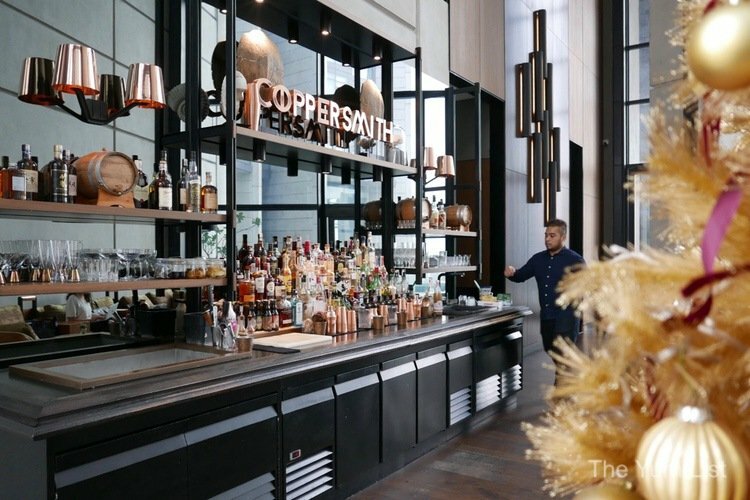 The high ceilings, tall windows, and bright lighting are a nod to the space’s previous history of being a garage, while also being an inviting, modern place to have a bite to eat and enjoy some coffee. On Monica’s recommendation, I had resisted my usual morning coffee to fully enjoy what I was (accurately) told was some of the best coffee in the city. The coffee menu is extensive, with a wide range of sweet and classic espresso-based drinks to select from. I opted for a classic latte with an extra shot of espresso (the perfect extra kick for those who may have had a late Saturday night!) and Monica a cappuccino. The Cappuccino (RM 10) was served in a big mug, and the milk was frothed to perfection. In comparison, my Café Latte (RM 10) is a three-way combination of espresso, steamed milk and a light topping of foam. Less foam than the cappuccino, a latte can sometimes be too rich and milky losing the flavour of the coffee beans. Again though, Garage 51 hits the mark, and my latte is a decadent combination of milky richness and espresso that has just the right amount of acidity and flavour to stand out. 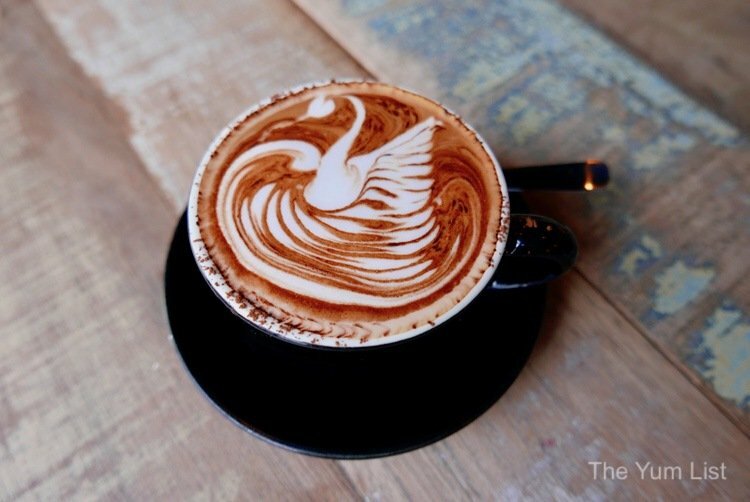 Indeed, some of the best coffee in KL! 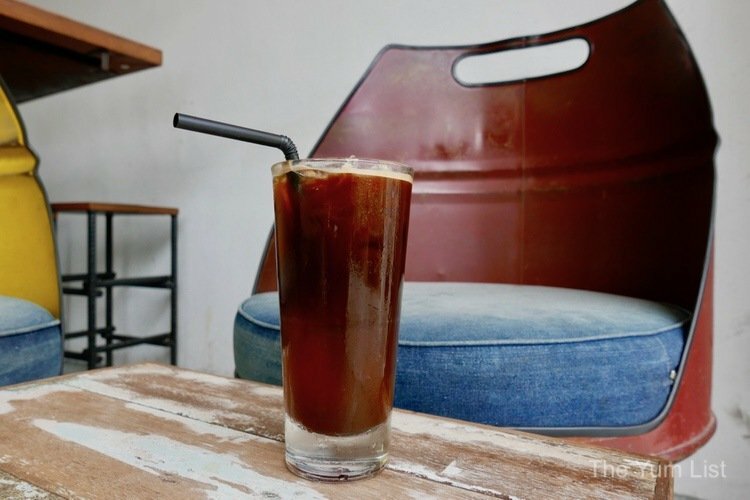 I was also intrigued by the wide selection of iced coffee drinks on the menu, and I chose for my second cup an Iced Black Coffee with Coconut Water (RM 13). It was a refreshing, lightly flavoured coffee perfect for someone not looking for something too sweet but also craving a little pizzazz in their afternoon caffeine pick me up! For those sensitive to dairy, no dairy milk alternatives were also offered. Artisanal coffees in hand we moved on to the main event of the afternoon the “Christmas Afternoon Tea Set” which is a special edition tea being offered throughout the month of December on Friday, Saturday and Sunday. 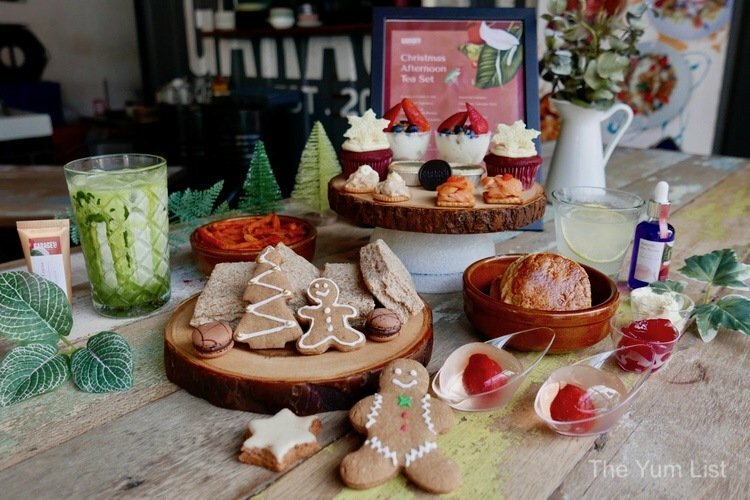 At an affordable price of only RM 68 for the two-person set, this is sure to be one of the best Christmas tea deals in the city. 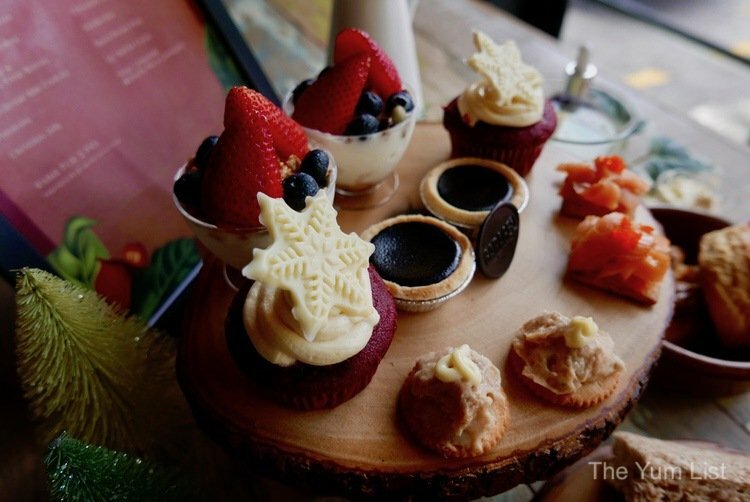 The set is beautifully presented with an impressive array of sweet and savoury samplings served on real wood serving platters perfectly decorated with some Christmas trees to add to the atmosphere. On the sweet side of things, there is plenty to choose from, I first opted for the red velvet cupcake as I just couldn’t resist the adorable white chocolate snowflake topping. The moist vanilla cake, complemented with the classic cream cheese frosting made for a yummy bite-sized cake. The precious mini chocolate macarons, Christmas jelly, and gingerbread cookies rounded out the traditional and adorably festive portion of the tea. For those wanting a little salty to help wash down their sweet, you will be pleased to know that the tea is served with tuna finger sandwiches, a generous portion of crispy sweet potato fries, and delicate salmon and tuna cracker canapes. The fresh fruit yoghurt parfaits offered a welcome bridge between the sweet and salty and made the tea feel just a little bit healthier. The standout of this tea, however, was the “tea” itself. Those expecting your classic earl grey and assorted tea offerings will be in for a surprise – a delightful one! 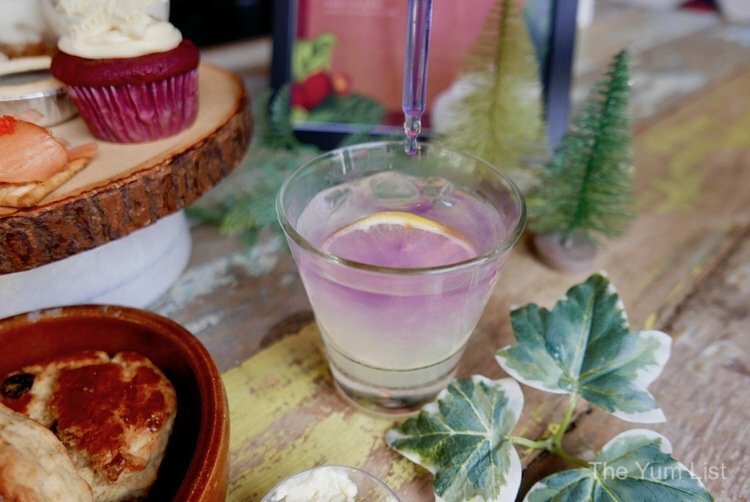 This tea is all about the playfulness of the holiday season, and that is evident in their Magic Lemonade, which is a refreshing lemonade that is infused with all natural Butterfly Pea extract. 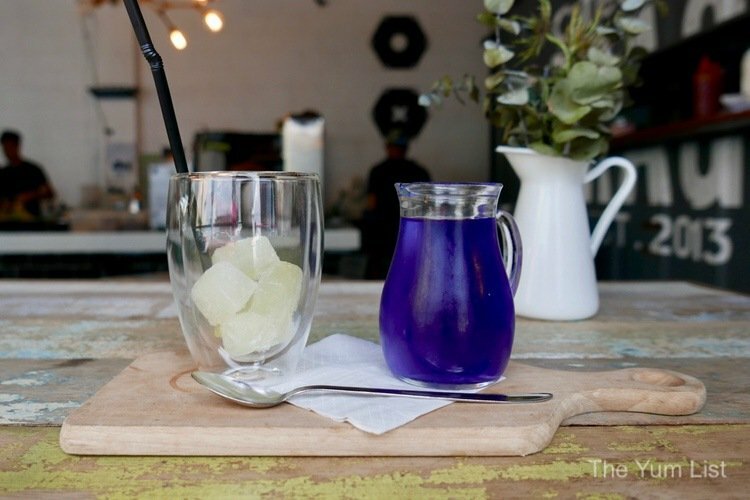 When the Butterfly Pea reacts to the citrus of the lemonade, the drink turns from yellow to a purpley blue all the while maintaining the lemonade taste – talk about Christmas magic! The second “tea” in the set is the Uji Matcha Cocoa, which is cold milk and matcha based drink that when mixed together creates a milky green aesthetic reminiscent of winter wonderland; evergreen trees lightly sprinkled with powder-white snow. The Uji Matcha Cocoa is not complete however until you squeeze in your 100% Cocoa from the tube provided with your tea. This not only adds an element of fun but also allows you the option of personalizing your preferred level of cacao sweetness! 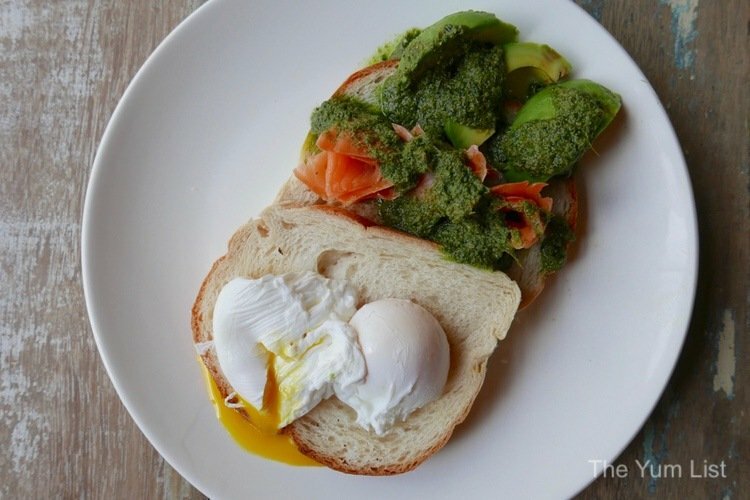 While the tea was definitely the highlight of the afternoon, for those who are a little hungrier Garage 51 has an expansive menu offering brunch classics such as the Toast with Poached Eggs, Smashed Avocado, Smoked Salmon and Pesto (RM 20) which we couldn’t resist giving a try! 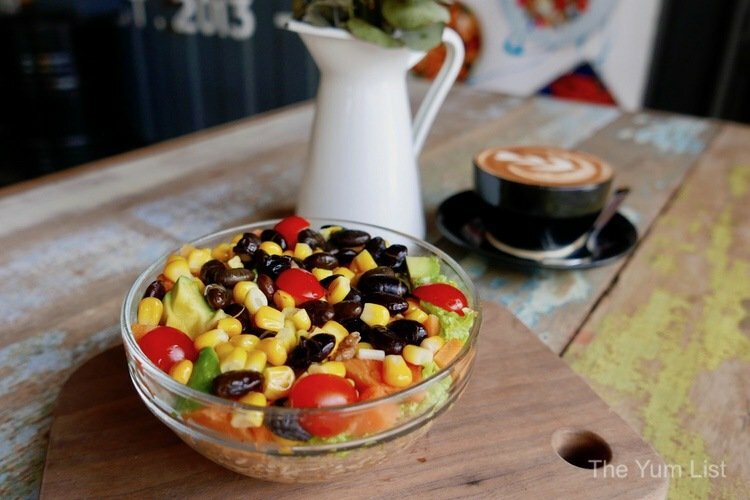 For those looking for a healthier option, they offer a fitness menu which includes items like the Vegan Burrito Bowl (RM 17) and the Grilled Chicken Breast with Sweet Potato and Boy Choy (RM 15). 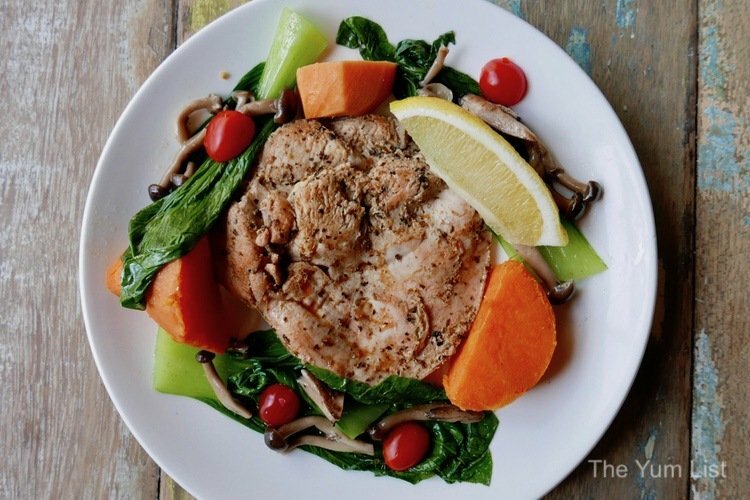 With such a range of food and competitive prices, it is hard to go wrong. 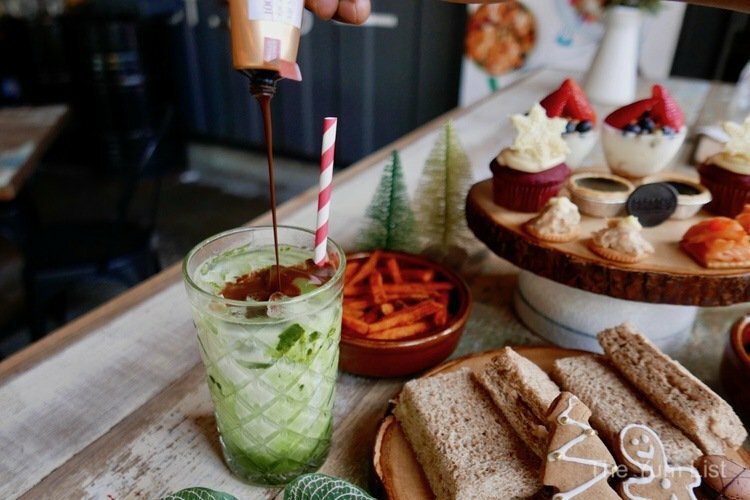 As the holiday season kicks into full gear, I highly recommend taking a break from all the madness, grabbing a friend and heading over to Garage 51 to enjoy this playful, creative and satisfying afternoon tea! I can guarantee you will leave in a better mood than when you came in. Reasons to visit Garage 51: Excellent coffee, great price points for tea and other al la carte items, a creative twist you won’t see anywhere else on an old holiday classic! Garage 51’s Christmas Afternoon Tea is available from December 1st, 2018 between 3 pm – 5:30 pm Friday, Saturday, Sunday & Public Holidays and is priced at RM68 for two people. 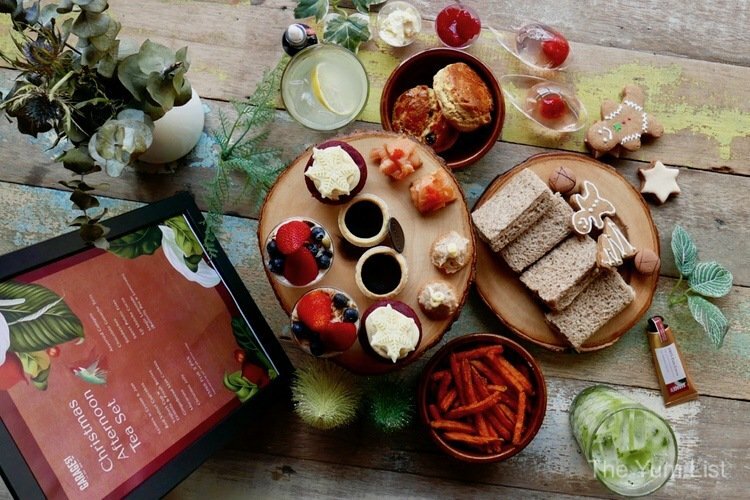 Find more ideas for afternoon tea in Kuala Lumpur here. A very tempting buffet laid out for the holiday season! That design left behind in the top of the cappuccino is amazing! Glad to hear that Maggie was impressed by the coffee. It’s hard to give up a morning ritual for something new. That’s nice, go for tea to celebrate instead of lunch or dinner, will not be eating so much over the festive season. First went there back in 2013, glad to see the place is around and doing well! What? No mince pies for Christmas afternoon tea?